"SECONDARY COMBINATIONS: FILMS OF DEBORAH S. PHILLIPS"
DOORS 7PM – SCREENING from 7-10PM – $5 SUGGESTED DONATION – FILMS, DRINKS & DISCUSSION. Deborah S. Phillips works in number of different fields: as an artist (who makes 2-, 3-, & 4-D images) as well as as a translator and voice artist. From 1988 – 2001, she was an active member of the Braunschweig-based artists‘ collective LABORATORIUM, where she also started working with film as one of her materials, all the while continuing to paint, make artist’s books, installations and more. Her film BREAD was included in the Goethe Institut’s programme Deutsche Experimentalfilme der 90er Jahre. In 2007 she co-founded what is now known as Kunstverein Neukölln, a gallery and centre of different forms of artistic activities, such as irregular screenings, performances, installations & ocassional exhibitions. For the past few years, she has been conducting research into the colours red, blue, and green through a multi-disciplinary practice. 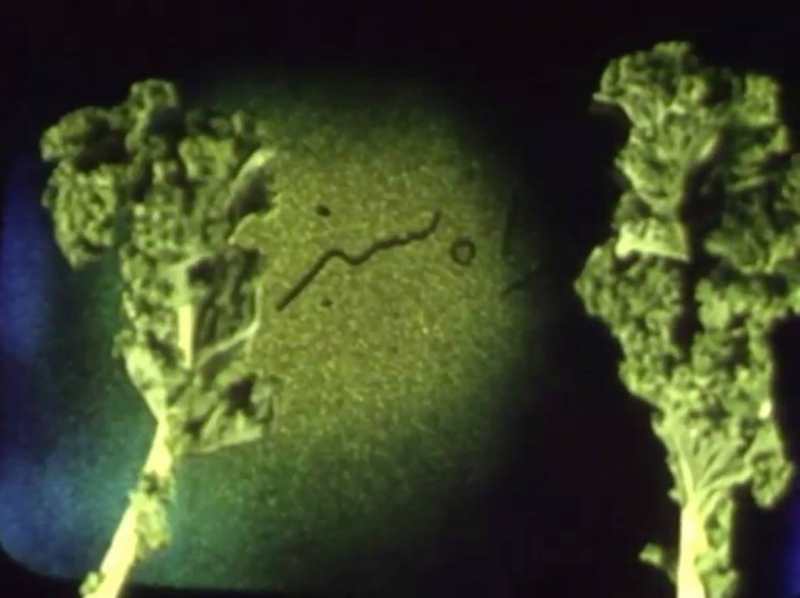 For example, CAPSICUM is a 16mm film accompanied by a red book. Her 16mm-&-slide-collage-performance, series of paintings, and book explore blue. Research into the last of 3 additive colours that make up light, green, has just been completed in 2017; a film called „Im grünen Bereich“, a green book & a series of green works-on-paper complete the trilogy. “Her films aren’t simply there to be “understood.“ And that’s a good thing. I would prefer to refer to this as a certain mysteriousness, a puzzle. Might a desire for a place to call home be evident in these films (or is that interpretation on my part)? “Places” are a reoccurring theme, but so is a lack of place.